Rubi Star MAX 51. 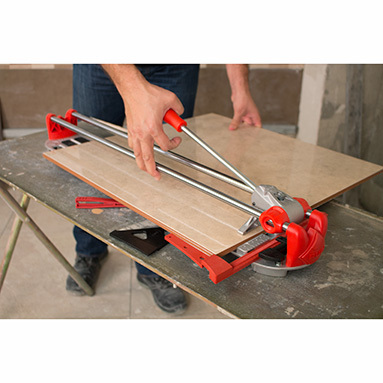 Upgraded version of the Rubi Star 50 N Plus tile cutter. With re-inforced support for durability and greater separation power. Maximum cutting length: 21" (51cm). 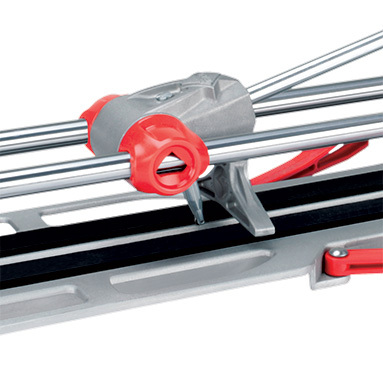 Maximum cutting thickness: 1/2" (12mm). Chromed steel guides with anti-corrosion treatment. Lateral stop for repetitive and 45° cutting. Two-layer base with shock absorption. Base accessory for correct support of the tile. Direct view of the scoring and cutting line. Interchangeable scoring wheels from Ø1/4" (6mm) to 13/32" (10mm). Includes: protective carry bag & 6mm scoring wheel.